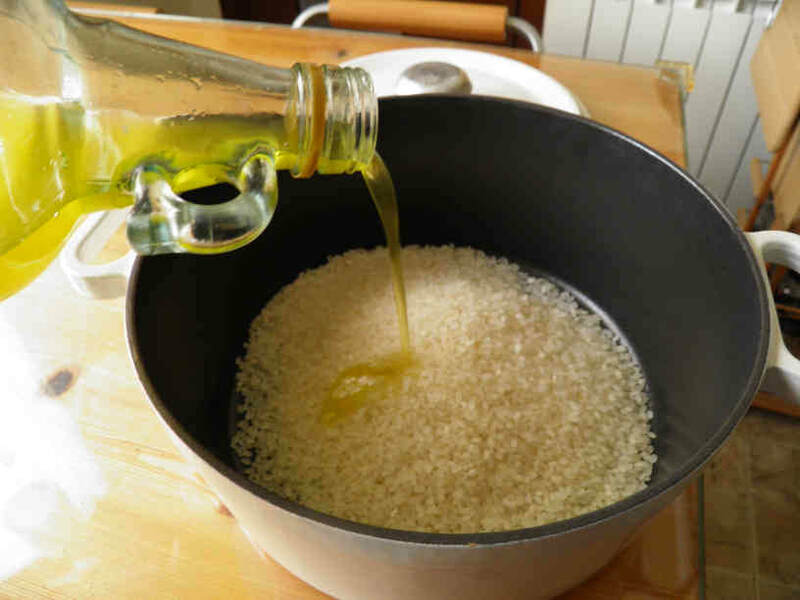 Put the rice in a cooking pot, add the olive oil, heat and stir-fry the rice (gas stove setting on High) for 3 to 4 minutes until it starts turning transparent. 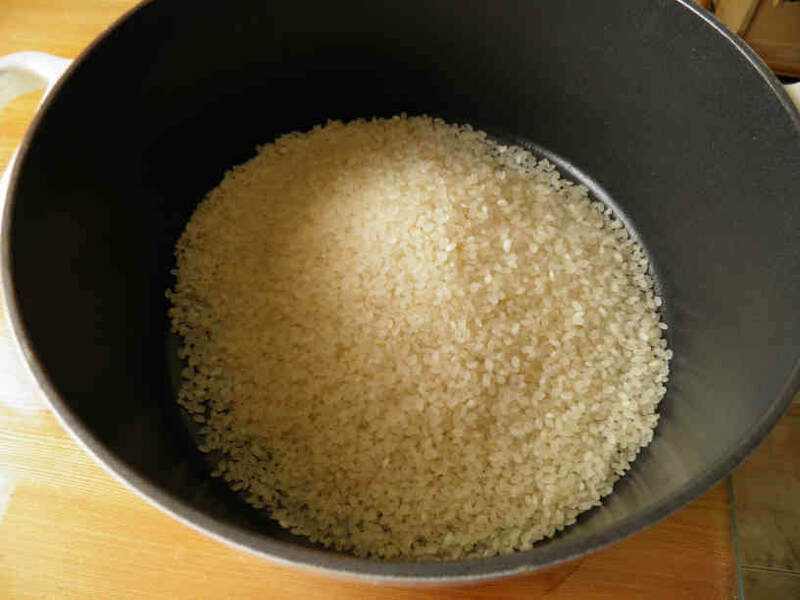 This will let the rice absorb less water and remain hard enough for a perfect risotto. 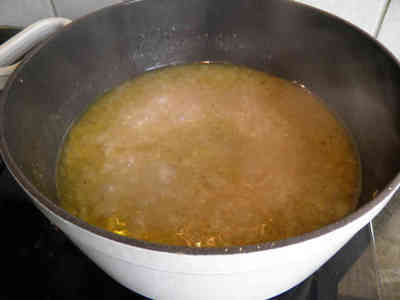 Keep stirring all the time during these 3 minutes, do not let the oil heat too much. 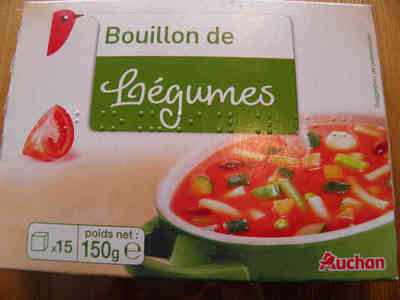 You should have prepared a vegetables stock (3/4 liter). Keep 1/4 liter aside. 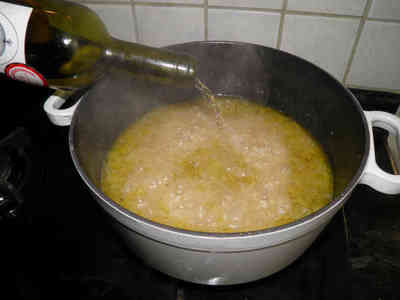 ​Add it to the rice then add the white wine, the pepper and the oregano (to taste, advised 1/2 teaspoon). The liquid is in excess on purpose. 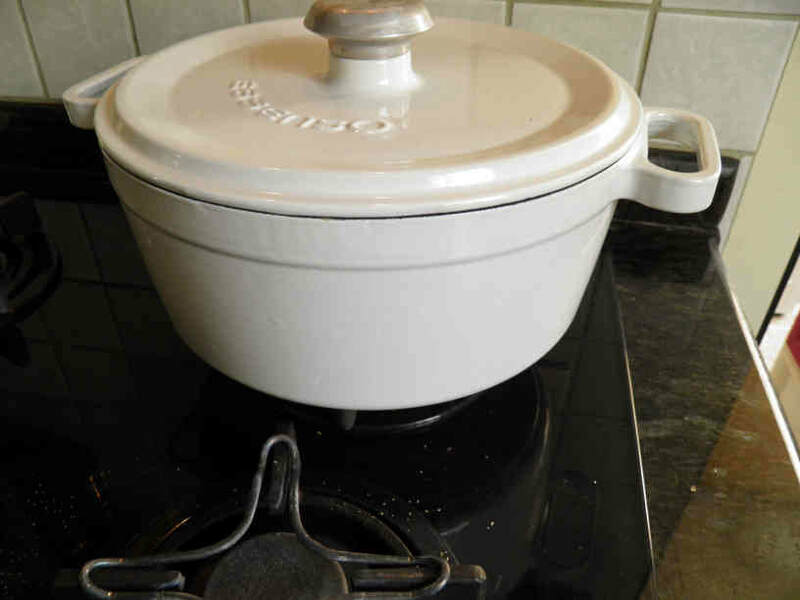 Cover the pot and cook the rice for 6-8 minutes at low heat then uncover and continue cooking at medium to high heat for the purpose of reducing the liquid. Stir the rice from time to time and keep tasting it until it becomes soft enough meaning you don't feel anymore it's hard inside. If the liquid evaporates before this stage, keep adding little by little vegetables stock. 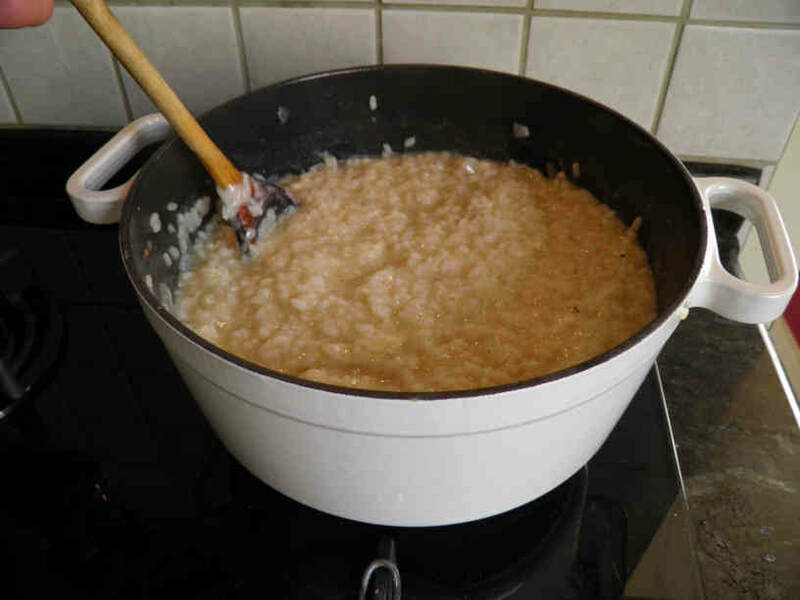 If liquid remains there, continue cooking until the liquid level drops to below the rice level. 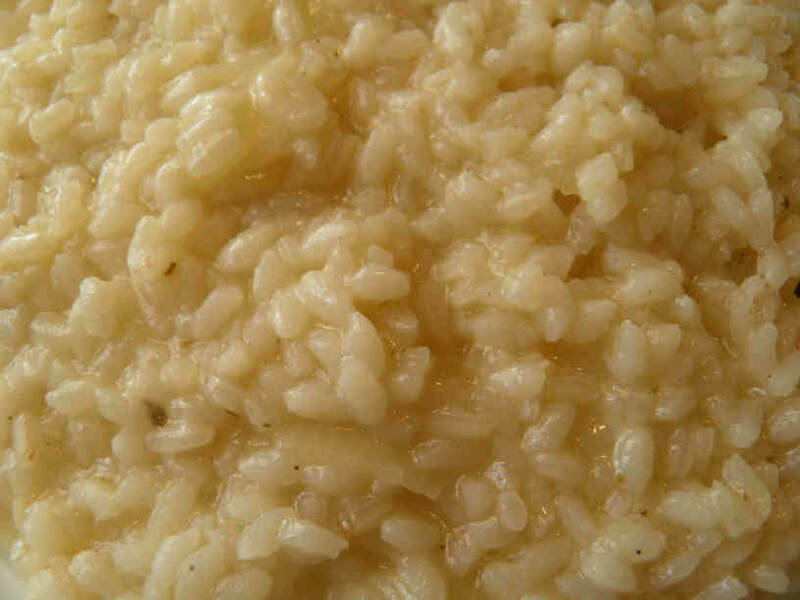 The risotto is cooked in 2 stages, 6-8 minutes covered at low heat then the rest of the time uncovered at high heat until the liquid evaporates. 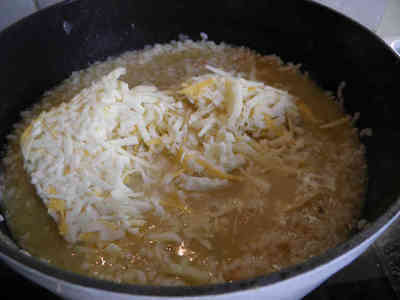 Add now the grated cheese and gently integrate it into the rice. 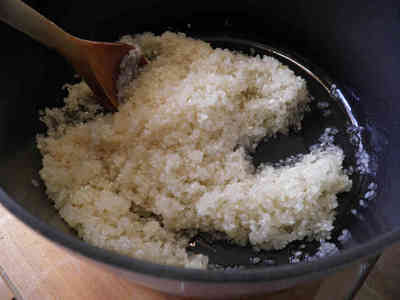 Do not stir or mix thoroughly. Just push the cheese into the rice with a wooden spoon. 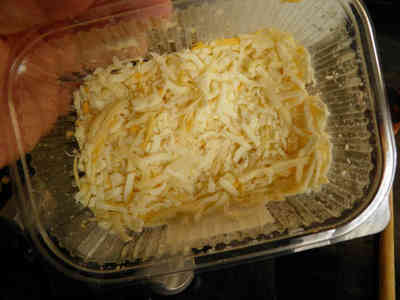 ​Serve immediately after the cheese has melted.